The Hub » Extended Sale Creative from On the Beach! 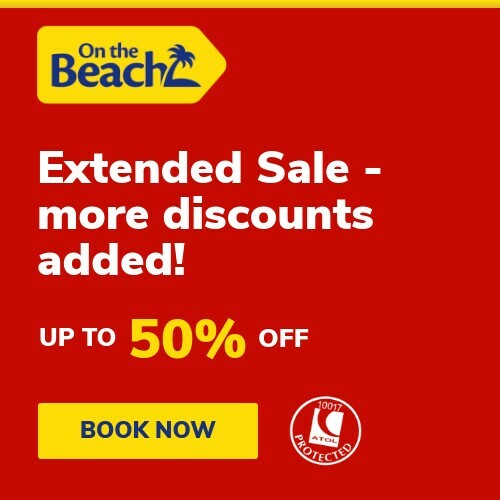 Extended Sale Creative from On the Beach! Hope you are all well and had fantastic weekends! In case you weren’t already aware, we’ve extended our fantastic January Sale to run through until the end of February and there is now some new creative in the AWIN portal for you to use. We continue our 50% message until the end of February with even more discounts added! The sale page is the same as the one we’ve used previously and has already been updated with our latest offers so make the most of these great deals. If anyone has any extra exposure opportunities, particularly towards the end of the month as we count down to the end of the sale, please let me know and we’ll see what we can do. Don’t forget to replace !!id!! with your publisher ID on all links & let us know if you have any questions.